Most indie games that go into Steam’s Early Access program fly under the radar, but InterDimensional Games’ immersive sci-fi adventure stands out. 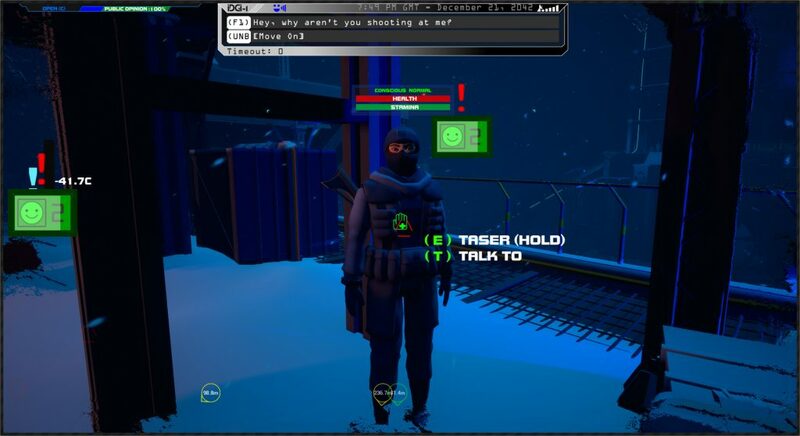 Consortium: The Tower is currently available via Steam Early Access. The version available through Early Access is only around one-third of the final game, according to the developer. This third will provide you with around seven hours of gameplay. The studio also laid out their plans if the game proves to be successful on Steam and what they plan to do going forward. Choreography (lip syncing, facial animations and gestures) will be put in over the course of our time on Early Access, as scenes become finalized. Character animations and models are due to be vastly improved. The game’s GUI will be given a major visual upgrade. The biggest difference, of course, will be all of the content for the completion of the full interactive narrative, and a great deal of polish and improvement of existing content and features. -We have plans laid down for opening up the game to modders using Steam Workshop. -The Tower is populated by a number of squads, each with a unique perspective in the game world and each from different cultures and backgrounds. We would love to further enrich our narrative with additional squads beyond what our budget allows. -Full body awareness and improved simulation of YOU in the game world. -More interactive conversations, more cast members. -Realizing even more of The Tower. The amount of space we have to work within the Churchill Tower is immense. Right now we are building out the minimum required for our core story to work, but would love to greatly expand upon realizing the interior of The Tower. There is still no set release date, but Consortium: The Tower is expected to leave Early Access after “eight to fifteen months.” Make sure to check out the video below.